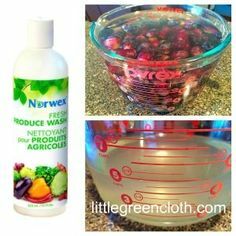 Replace Paper Towels with Norwex Counter Cloths! What if you could drastically reduce your need for paper towels? You could free up money and space in your grocery cart, storage, and trash can! What do we even use them for anyways? Cleaning up a spill, wiping off a child, removing grease, makeshift napkin? Most jobs done with a paper towel, could be done with another piece of fabric, so what is the draw to paper towels? I think we have become accustom to just throwing it away when you’re done. No extra laundry or folding. Just wipe and done. But that is not really all that is involved when using paper towels. You have to purchase them (and they aren’t that cheap! ), store that big bundle, replenish your counter top, take them out to the trash… and then repeat. It’s no wonder companies have pushed to make them a staple in our homes when we need to keep coming back for more! Norwex Counter Cloths drastically reduce your need for paper towels! These cloths are reusable, super absorbent, and are about the same size as a half-sheet of paper towel. They are a one-time investment, but cost less than most of those giant bundles that paper towels are purchased in. The cloths are also made of 50% recycle material, and each set contains almost a whole recycled water bottle. You are now part of the solution, not contributing to pollution! The Counter Cloths feature a unique new weave of Norwex’s signature microfiber. This weave absorb messes quickly. Just like the other microfiber, it has the ability to remove 99% of bacteria when used correctly and will self-purify after use. The BacLock™, the microsilver in the fabric, does not let bacteria and mildew grow and reproduce on the cloths (which makes it stinky). Instead, the microsilver creates a harsh environment where bacteria, mold, and mildew cannot reproduce, meaning they die naturally and do not create an odor. You can rinse it off, let it dry, and then reuse. Plus, the Counter Cloths come in 6 fun colors, separated into two sets: Slate/Vanilla/Mushroom or Marine/Teal/Sea Mist! You can be creative with how you store your cloths to keep them handy. You could try a cute basket or make a mini clothesline. It is up to you! Check out the video below to see them in action! Ready to stop buying paper towels? Invest in your Counter Cloths today! Now this I can get behind! I know what I’m buying my mom for her birthday (and probably what I’ll be getting for myself and some stainless steel around the house). Carmen – You can buy it online anytime at http://suzanneholt.norwex.biz Thanks!